Take off with the whole family! 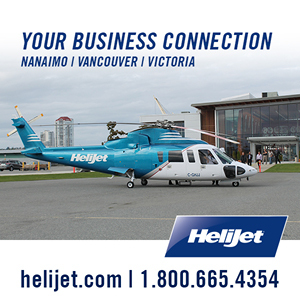 North American’s premier helicopter airline since 1986, Helijet transforms everyday air travel. Flying above some of the world’s most spectacular scenery onboard comfortable & stylish 12 seat Sikorsky S76 helicopters makes a Helijet trip one-of-a-kind. Call +1.800.665.4354 to take off today. With bases along British Columbia’s coastal communities; Richmond, Vancouver, Victoria, Nanaimo, Prince Rupert and Sandspit – Haida Gwaii, Helijet has the locations, equipment, and experienced crews to meet the needs of your charter flight requirements. In association with British Columbia Air Ambulance Service, Helijet provides a vital air ambulance lifeline to communities throughout the province. Seasoned expertise offers a wealth of knowledge when consulting with other air medical providers. With a mission to maintain and share the highest safety and operating standards of heliports in Canada, Pacific Heliport Services aims to provide a level of service exceeding customers’ expectations and needs. I would just like to thank the desk staff at Vancouver and Victoria again for going the extra mile in getting the mobile phone we left in Vancouver back to us. We really appreciate your efforts and you certainly made our last day in Canada as amazing as the rest of our holiday there. We will most certainly be making use of your services again in future. Breathtaking views on flight to Vancouver Island - Safe flight. Great pilots. Large comfortable helicopter. The views were spectacular! What an incredible way to see the beautiful waterways and islands. "Thank you so much for an amazing trip to Vancouver. We enjoyed a great family day, shopping and seeing Stanley Park. On Saturday morning, when we arrived at the Helijet terminal we were greeted by a lovely, friendly lady, who was such a great host, a credit to Helijet. Having such a friendly & helpful staff member makes such a difference to a customer’s experience with any company."